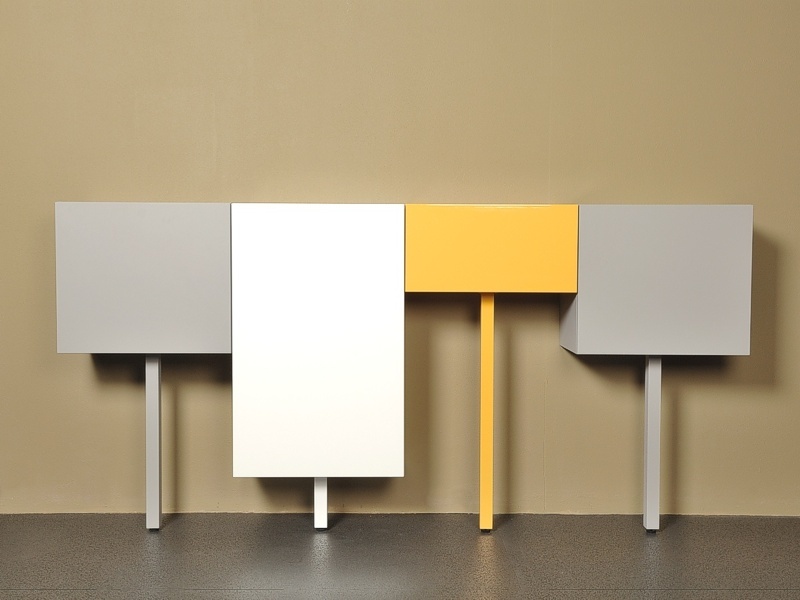 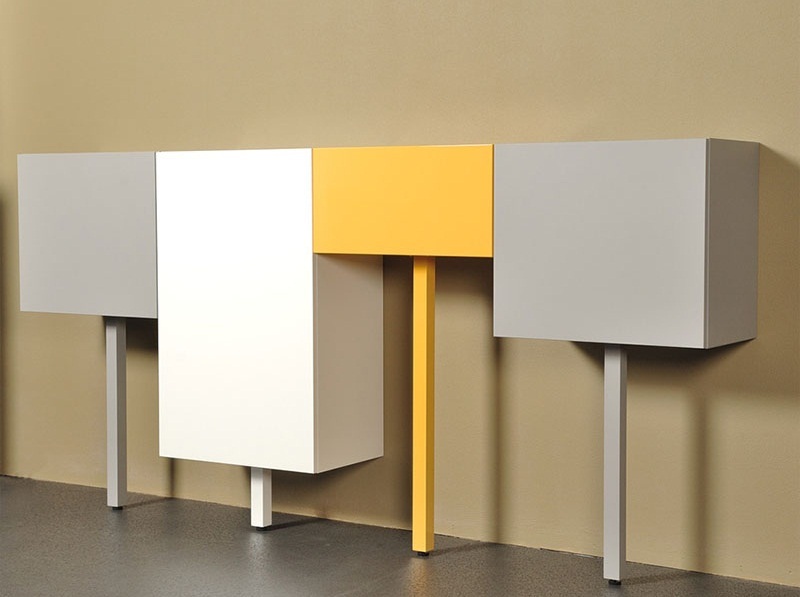 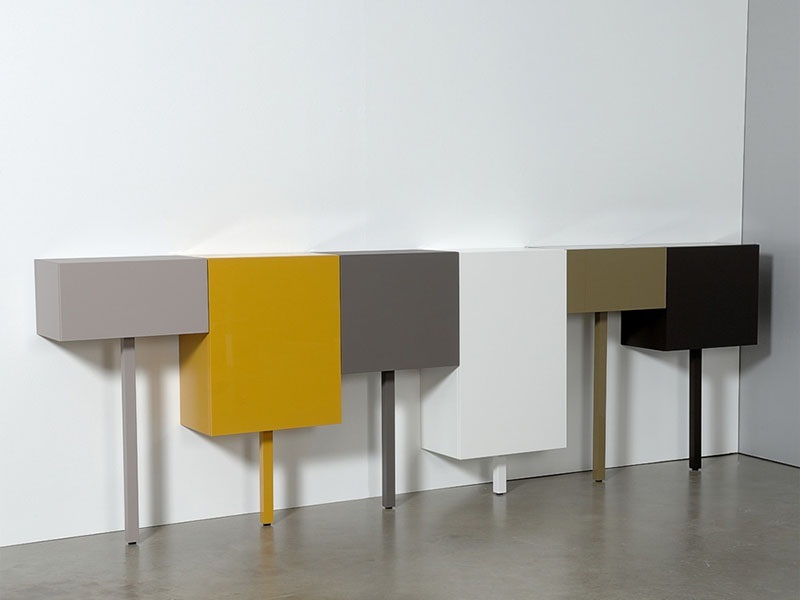 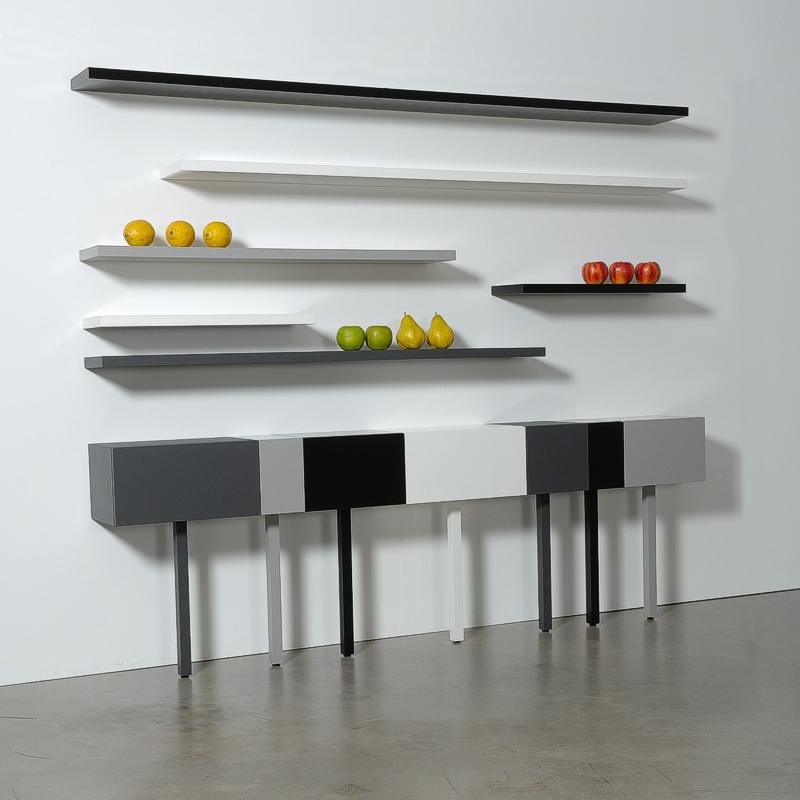 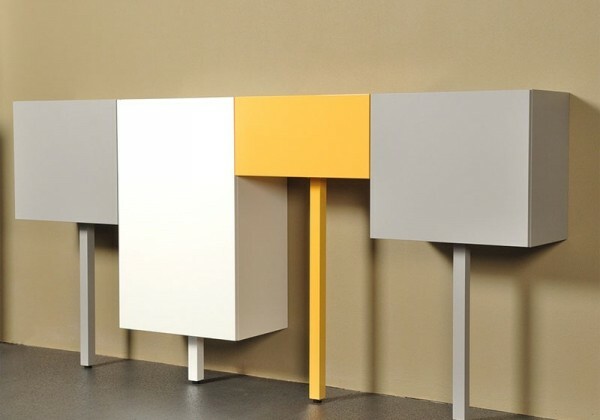 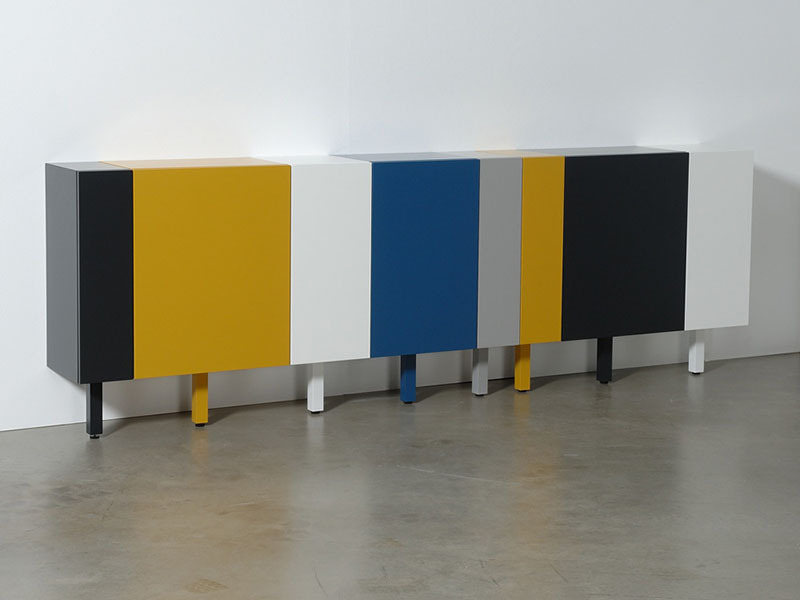 A cabinet system with boxes in four different widths and four different heights, standing on one leg. 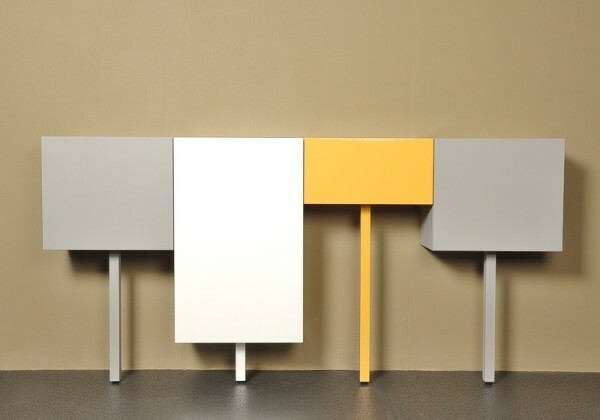 The total height of each Stick can always be different, because of the four different lengths of the legs (the sticks). The Sticks can be used as a lowboard, as a sideboard and as casual wardrobe (varying in height) or loose as a hall cabinet or bedside table.